At our La Jolla plastic surgery practice, surgeon Scott Barttelbort achieves outstanding results that beautifully enhance the body, breasts, and facial appearance through a wide variety of cosmetic procedures. Patient presented at age sixty-two concerned with extra skin on her neck and signs of aging. 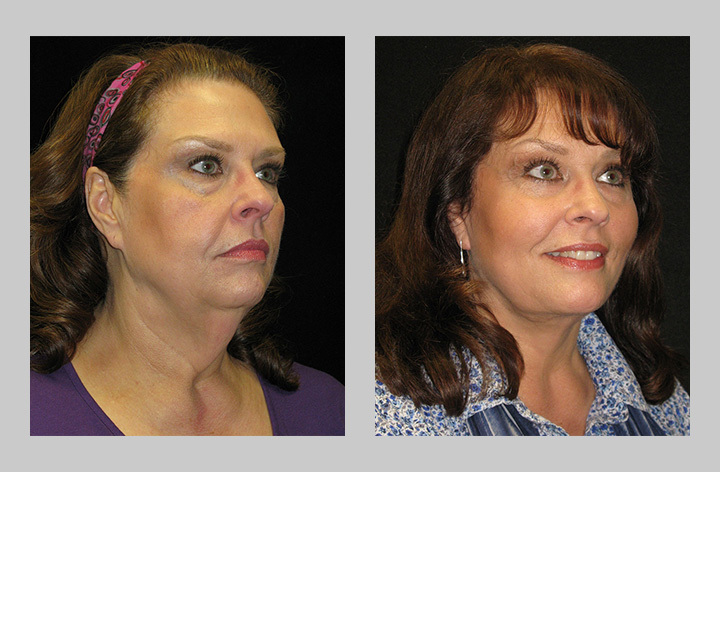 In order to address excess neck skin the patient underwent a facelift, re-tightening the skin on her neck and lower face. Further facial rejuvenation was achieved with an endoscopic mid-facelift, endoscopic browlift, and upper lid blepharoplasty (eyelid lift). Patient presented at age fifty-nine desiring facial rejuvenation. She underwent a facelift, an endoscopic mid-facelift and brow lift, and upper lid blepharoplasty (eyelid lift) creating a natural and revived appearance. 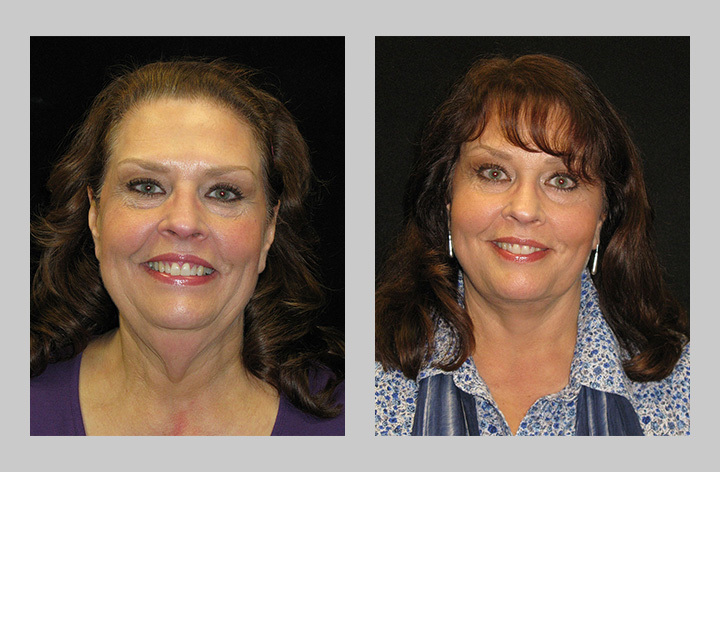 Patient was forty-seven and desired greater chin and jawline definition, and a more refreshed and youthful look . She additionally desired the hemangioma on upper lip to be removed. In order to achieve this look she underwent a facelift, an endoscopic mid-facelift, a genioplasty (chin augmentation), upper eyelid lift, and excision of the hemangioma on her lip. 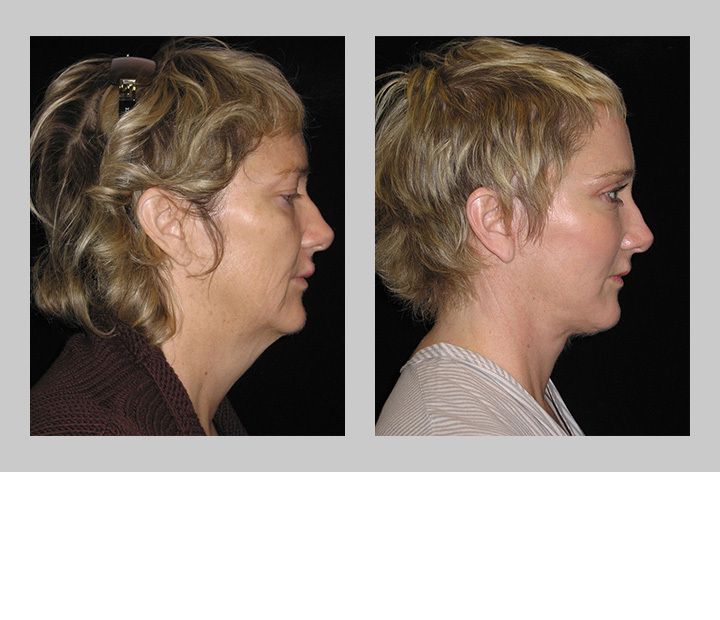 Patient was forty-seven and desired greater chin and jawline definition, a more refreshed and youthful look . She additionally desired the hemangioma on upper lip to be removed. In order to achieve this look she underwent a facelift, an endoscopic mid-facelift, a genioplasty (chin augmentation), upper eyelid lift, and excision of, the hemangioma on her lip. 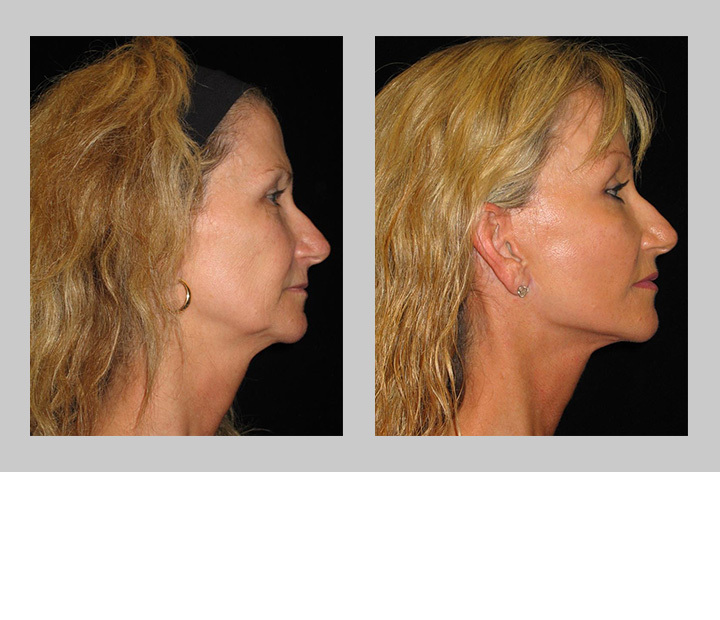 The chin augmentation provides much better projection for patient's profile. At sixty-one years of age, the patient desired facial rejuvenation. In order to achieve a better defined neck and lower face she underwent a facelift, which created a more pleasing jawline. 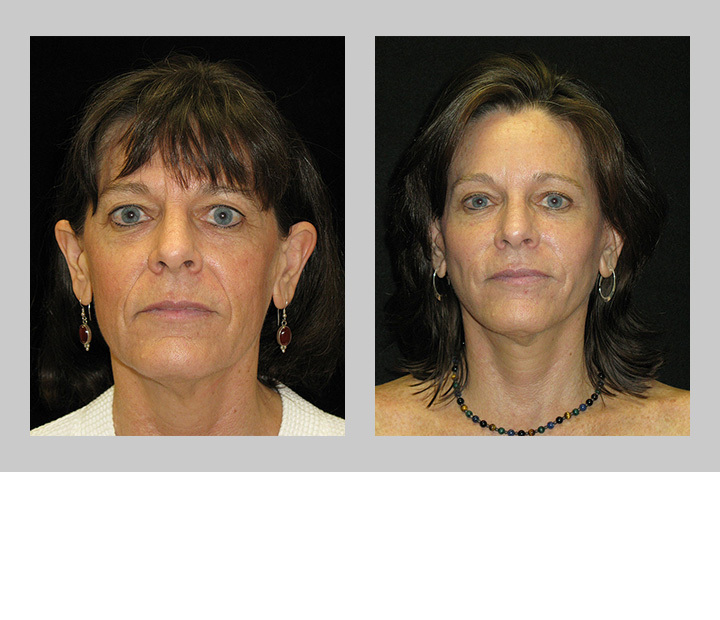 An endoscopic mid-facelift, and a lower lid blepharoplasty (eyelid lift) addressed the upper half of her rejuvenation. At sixty-one years of age, patient desired facial rejuvenation. 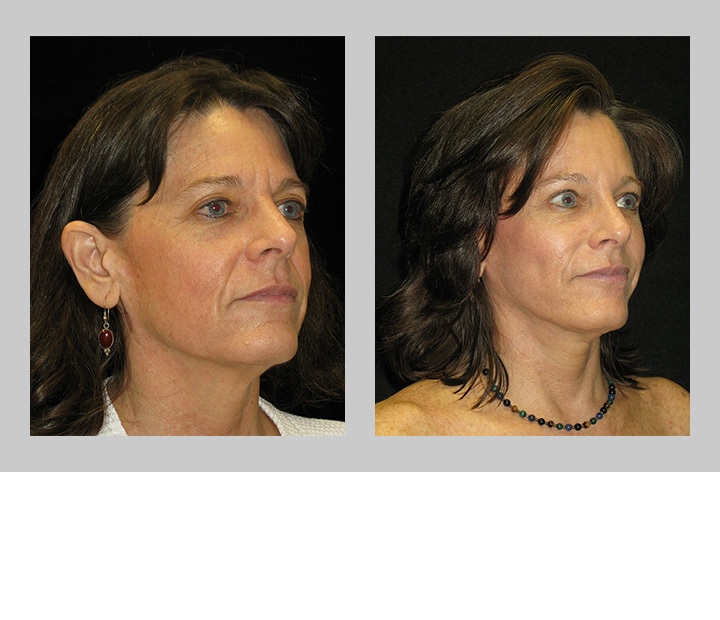 In order to achieve a better defined neck and lower face she underwent a facelift, which created a more pleasing jawline. 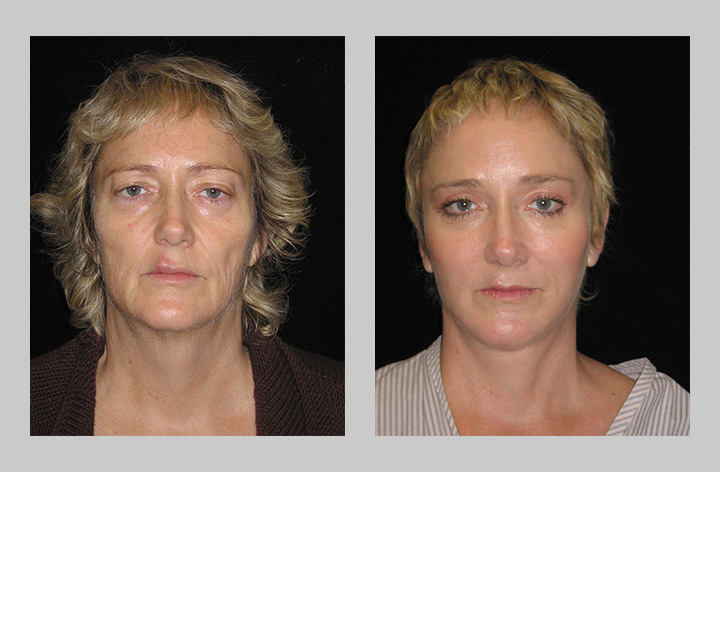 An endoscopic mid-facelift, and a lower lid blepharoplasty (eyelid lift) addressed the upper half of her rejuvenation. 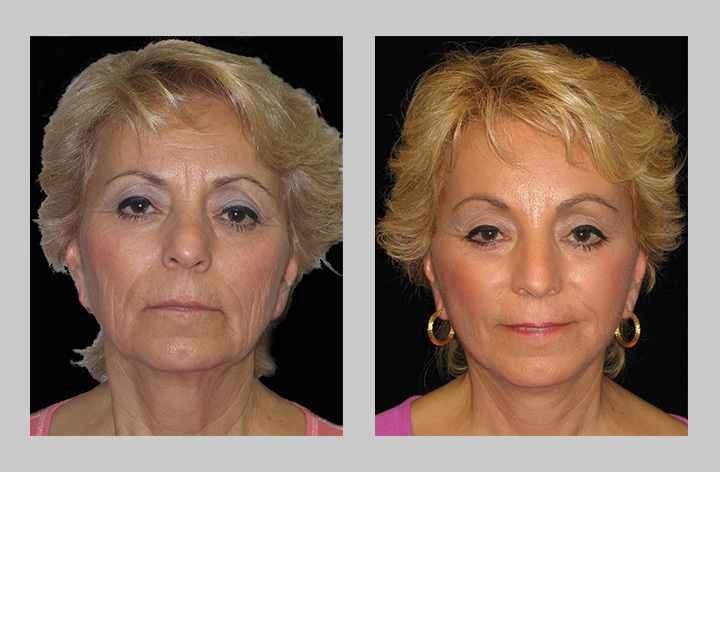 The facelift made a dramatic improvement on the patient's neck line making it more angular and defined. Patient had lost the definition and contours of her neckline, and her lips had lost their volume which is commonly seen in the aging process. 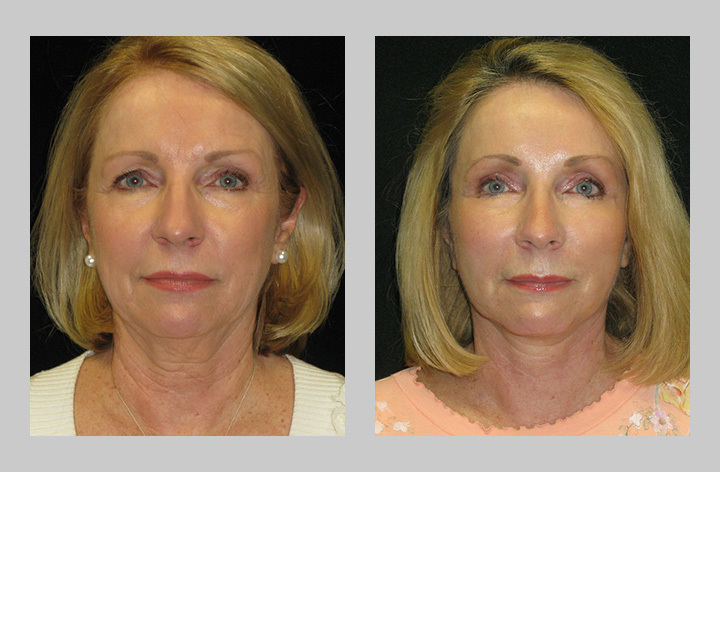 A facelift and necklift re-created the angles she once had giving her a better defined lower face, and a modest lip enhancement gave her youthful and natural looking lips. Patient presented with heaviness to her eyes and concerns with her jowls. 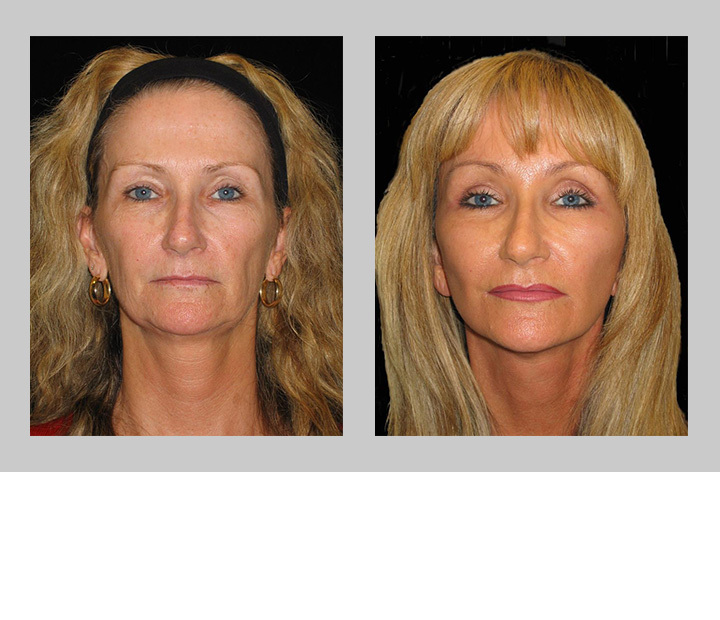 A facelift, an endoscopic mid-facelift and browlift, and upper and lower lid blepharoplasty (eyelid lift) was performed. This combination of procedures improved the tired appearance commonly associated with aging, creating a more youthful look.